Southern Vermont is all about showcasing beautiful scenery while connecting visitors to the rich history of the region. Marvel at the sweeping views of the Battenkill River Valley and the Taconic and Green Mountain Ranges at Hildene, The Lincoln Family Home, or take a scenic gondola ride to the summit of Mount Snow. In Bennington, experience Revolutionary War history at the Bennington Battle Monument, and then make sure to stop at Bennington Potters to enjoy the historic buildings and handcrafted pottery in Potters’ Yard. 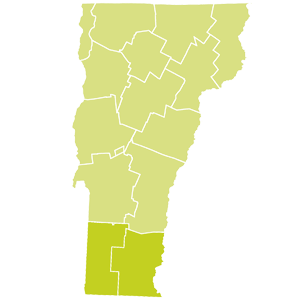 Travel the Molly Stark Byway from Bennington to Brattleboro named one of the “Best Small Towns in America”, and get to see how Vermonters live. Below is a list of southern Vermont attractions.